My Purple World : WW: Happy Independence Day, Indonesia! 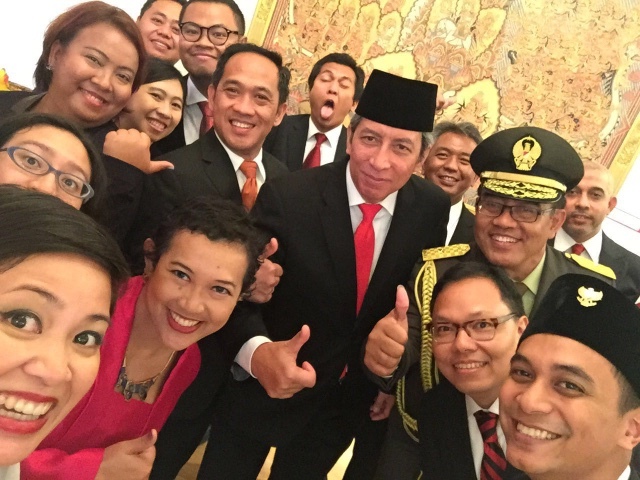 WW: Happy Independence Day, Indonesia! 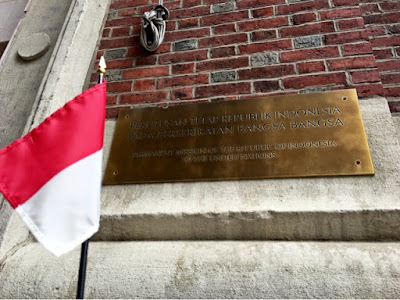 Happy 71st Anniversary of Independence to my beloved country, Indonesia. 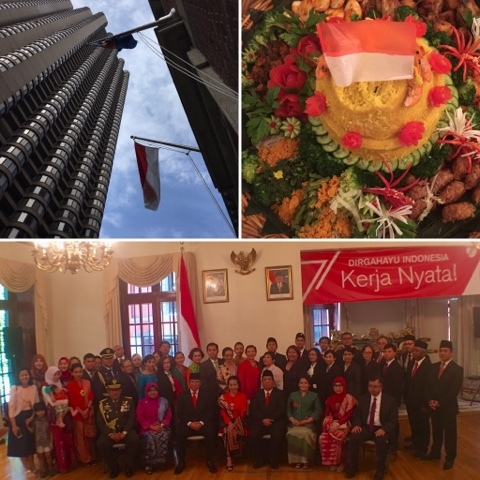 Back home in Indonesia, we have so many events and activities during the celebration of the Indonesian Independence Day. How I miss those sports and traditional tournaments, flag-raising ceremonies, performances and so many more. Here, we have the commemoration for the 71st Anniversary of Indonesia's Independence at the Indonesian Consulate General here in NYC. One thing for sure, wherever we are, even far away from home, the love for our country will remain strong and resolute. 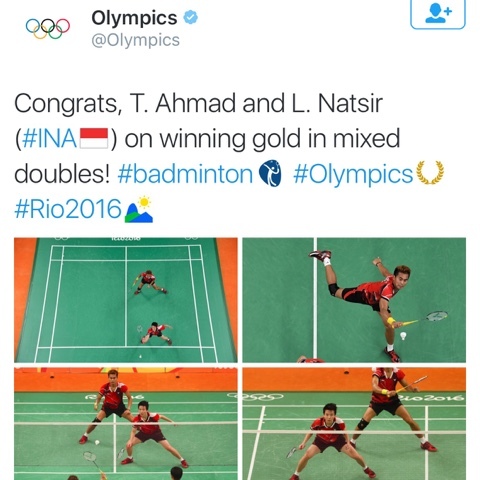 And we also have a special golden gift, as Indonesian badminton athletes won gold medal at the Olympics on the same day! Yaaaay..
Maju terus dalam karya nyata. Happy Independence Day and congratulations to your athletes at the Olympics. I came over from WW. A happy independence day to you! Happy Independence Day! Enjoy your celebration. Thank you, Cascia. We did..